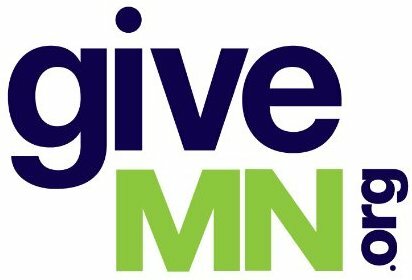 We write as people throughout Minnesota who are deeply committed to Minnesota students and deeply concerned about recent Minnesota State Colleges and Universities’ decisions regarding concurrent enrollment. We hope you will share our concerns and suggestions with your colleagues, and that together we can meet to discuss and hopefully refine and revise your recent tentative decisions regarding concurrent enrollment. We share with you the goals of increasing the number of Minnesota students who are successful in K-12 and higher education. By providing financial incentives to MnSCU for increased degree and certificate attainment, the Minnesota legislature has shown its explicit intent. We urge that your MnSCU Leadership Council table action on these items and meet before final decisions are made with representatives of high schools, business and community groups to discuss and demonstrate MnSCU’s stated desire to partner with local school districts, high schools, students, families, and communities, in making these decisions. The MnSCU decision to increase costs, by up to 100% over the next several years to school districts and charter schools, of concurrent enrollment courses offered with MnSCU two-year colleges. Details of your proposed “tested experience” policies regarding high school faculty who would be allowed to teach these courses. 58% of African Americans graduated from high school in four years, but 88% of African Americans who took 1 or more PSEO or concurrent enrollment course graduated in four years. 49% of American Indian students graduated in four years, but 88% of American Indian dual-credit participants graduated in four years. 78% of Asian Americans graduated in four years, compared to 96% of those who participated in these dual credit programs. 59% of Hispanic students graduated in four yeas, compared to 93% of CE/PSEO participants. 64% of economically disadvantaged students graduated in four years, compared to 93% of CE/PSEO participants. 85% of white students graduated in four years, compared to 98% of CE/PSEO participants. We know of youngsters who changed their self-concept and aspirations after successful participation in concurrent enrollment courses offered in cooperation with your institutions. Researchers call this “academic momentum”. We share your goal of increasing degree and certificate attainment, especially among low-income students, American Indian students, and students of color. Minnesota Office of Higher Education statistics show that, as of 2013, amongst Minnesotans age 25 and older, 51% of Asian Americans in Minnesota and 45% of white Minnesotans have earned at least an associate arts degree, but only 23% of American Indian and Hispanic, and 29% of African American Minnesotans have earned at least an AA degree. We believe that expanding and refining concurrent enrollment courses can help increase Minnesota high school and MnSCU graduation rates. However, a number of Minnesota K-12 leaders believe that significant price increases will make offering these courses more difficult. We also believe that some of your proposed policies on tested experience go beyond what the Higher Learning Commission is requiring. Thus, we request the opportunity to meet with you before final decisions are made. These meetings would involve perhaps 5-10 representatives of the k-12, business and community groups, and 5-10 representatives of MnSCU to discuss these issues. We hope you will see these discussions as serving the needs of k-12 schools and students, MnSCU, and—most important—the citizens of Minnesota who support, participate in and benefit from education.